(CBS) - How is it possible that the ante on Rubik's Cubes videos can keep going up? I've seen people solve them without sight, solve them at incredible speeds, solve multiple puzzles at once and more. But none of them have anything on this unique new video I've just seen above. Watch and prepare to be amazed. Are you impressed? Yeah, you know you are. 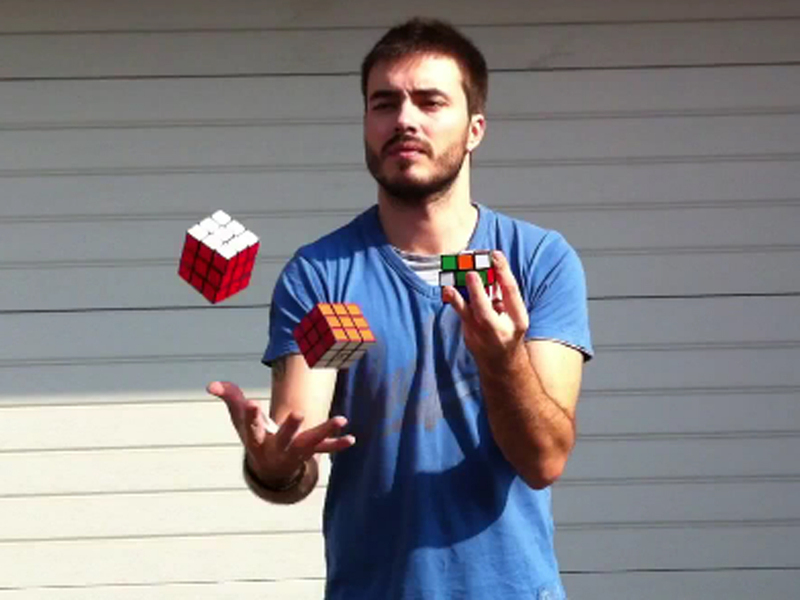 The YouTube video shows one very skilled guy by the name of David Calvo juggling and solving multiple Rubik's Cubes simultaneously. If you'd like to check out more astonishing Rubik's Cubes videos by David Calvo, you can go to his YouTube page by clicking here.